Not Eligible for Return Due to safety considerations and legal/regulatory reasons, Ammunition, Guns, Gun Powder, Primers and Treestands may not be returned. 80% Lower Receivers, Frames, Receiver Blanks, Receiver Flats and Short Chambered Barrels may only be returned in new, unmodified condition. For hygiene reasons, underwear and mouth calls may only be returned in new, unused condition. Products requiring fuel or liquids may not be returned once the fuel or liquids have been added (must also be in new, unused condition). 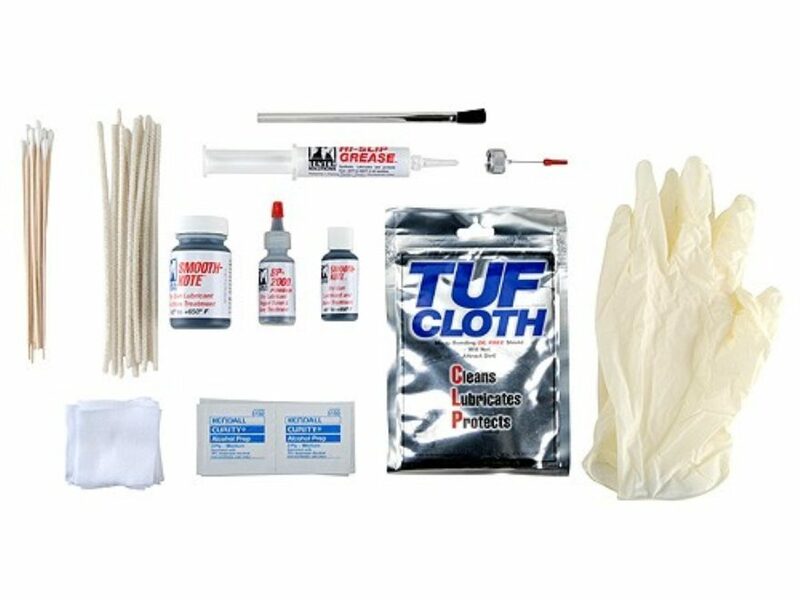 This kit includes a 2 ounce jar and 1/2 ounce precision applicator of Smooth-Kote dry lubricant, 3 gram container of BP2000 powder lubricant, 12 cc syringe of Hi-Slip Grease, a Tuf-Cloth, application brush, patches, pipe cleaners, alcohol pads and gloves.